Provide you with the opportunity to make and talk alongside the art work, collaborating with other colleagues who work with young people with SEND in a variety of settings. 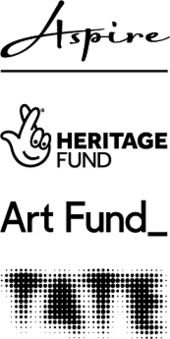 Aspire aims to encourage audiences of all ages to enjoy and learn more about the work of John Constable by touring Salisbury Cathedral from the Meadows 1831 across the UK, supported by Art Fund, and by National Lottery players through the National Lottery Heritage Fund. 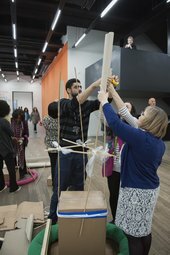 Being able to generate ideas in the galleries with others was great. New ways of seeing how galleries/exhibitions could engage students with tactile and physical learning experiences.